Has your claim for employee benefits been denied? Have you been denied an insurance benefit from your employer's policy or from your individual policy? James L. Johnson at The Johnson Law Firm has over 33 years of experience handling a broad variety of employee benefit claims and of insurance claims. Many claims for employee benefit are governed by ERISA, a federal statute. 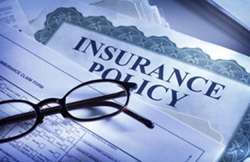 Many others, as well as claims under individual insurance policies, are governed by Texas law. I know the relevant laws for both types of claims, and how employers and insurance companies try to get around them. One of James L. Johnson's main focuses is litigation involving claims for employee benefits and insurance benefits, both those governed by ERISA and those governed by Texas law. You may not know which law applies, or why it makes a difference. Many workers have never heard of ERISA until they've been denied an employee benefit. ERISA claims, in particular, are subject to a number of pre-suit pitfalls that you would not expect, but that employers and insurance companies can exploit to decrease your chances of winning your claim. That's why it is so important to contact The Johnson Law Firm as soon as your benefits claim has been unfairly denied. I have deep experience advocating for clients whose claims for employee benefits and for insurance benefits have been wrongfully denied. Insurers and claim administrators sometimes misuse rules or regulations, or find loopholes, or stretch their interpretations of the policy, the plan, or the evidence, as far as they think can get away with. Until they are confronted with an experienced attorney who knows the law and wields it to the client's advantage. If your claim for short-term disability (STD), long-term disability (LTD), health, life, or accidental death and dismemberment (AD&D) benefits has been wrongfully denied or denied in bad faith, you may need the legal representation to obtain those benefits that I can provide. What effect does ERISA have on my claim? ERISA provides minimum standards that employers and claims administrators must meet to ensure that participants in an employee benefit plan are provided with plan information, that those plans are administered reasonably, and that employees or their families receive all legally-due employee benefits. Among those standards are detailed requirements for a full and fair review of your claim for benefits, including what is commonly referred to as an "administrative appeal" before a denied claim can be reviewed by a court. 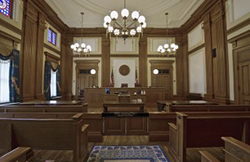 One major effect of the requirement of an administrative appeal is that, in the event of a lawsuit, the court serves much like an appellate court, ruling on the case without a jury. The court's consideration of the merits of your claim will usually be limited to the evidence that was compiled or considered during the administrative process (concluding with an administrative appeal), or that was submitted for reconsideration before a lawsuit is filed. As a result, the administrative appeal is very important. It offers the best opportunity for you to submit additional evidence supporting your claim. How can James L. Johnson's experience improve your chances of winning a claim? With my long experience with ERISA cases, I can help you make the most of the administrative process or of any later litigation. I have a proven track record, including a number of reported decisions from federal trial courts in Texas and the federal appellate court with jurisdiction over those trial courts. Some of those recent reported decisions are listed below. They include decisions on the merits, and on attorney's fees and interest that can be awarded to a claimant who achieved some success on the merits. They include decisions on a number of procedural points that can affect the outcome of litigation. Insurers and claim administrators may be tempted to cut corners procedurally. The courts sometimes refer to such efforts during the administrative process as "sandbagging." I know the regulations and rules that are designed to impose a degree of fairness on both the administrative and litigation processes. I know how to use them to fend off such sandbagging, and to use such sandbagging as evidence that a claim was improperly denied. ERISA is the acronym for a federal statute, the Employee Retirement Income Security Act of 1974. ERISA covers most employers other than governmental entities (such as independent school districts) and church organizations. What kind of employee benefits are governed by ERISA? Despite its title, ERISA governs much more than retirement benefits. ERISA plans commonly provide long-term disability (LTD) benefits, short-term disability (STD) benefits, medical benefits, life insurance, benefits for accidental death or dismemberment (AD&D), and retirement benefits. Some plans cover only occupational accidents. ERISA plans may provide benefits through an insurance policy or may be self-insured by the employer. Some STD benefits are designed as payroll practices that are not subject to ERISA. Some employers have such minimal involvement with a group insurance policy that benefits under that policy are not subject to ERISA. What if you are being denied a full and fair review of your claim? The Department of Labor has formulated a number of detailed regulations that govern ERISA claims. Every employee benefit plan must establish and maintain reasonable claim procedures. Those claim procedures must not be administered in a way that unduly inhibits or hampers the initiation or processing of a claim. If the plan has failed to provide a reasonable claims procedure that would yield a decision on the merits, that issue can often be raised as part of an administrative appeal. On occasion, the procedural violations can be so significant that the claim can be presented to a court before completion of administrative appeal. Is your claim defeated by a consultant who disagrees with the doctor treating you? Insurers and claims administrators often try to perpetuate a myth that they can ask a hired or in-house medical consultant to review your medical records and other information, that the consultant can disagree with your own doctor (such as on the question of whether you are disabled), that they can rely on the consultant's opinion to deny your claim, and that they will always win what the courts sometimes refer to as a "battle of the experts." But such a consultant must have appropriate training and experience in the field of medicine at issue, and the consultant's opinion must have a rational connection to the evidence, and the denial must have a rational connection to the opinion. When these requirements are not satisfied, the denial can be found to be improper. I have experience arguing these points in administrative appeals and in court. Examples are presented in the reported decisions in Alexander v. Hartford Life & Accident Ins. Co., Bray v. Fort Dearborn Life Ins. Co., and Archer v. United Techs. Corp., listed below. Do you have any remedy for a misleading summary plan description? ERISA requires that the terms of most employee benefit plans be included in a summary plan description. The summary plan description must be written to be understood by the average plan participant, and must be sufficiently accurate and comprehensive to reasonably inform them of their rights and obligations under the plan. The Department of Labor has formulated a number of detailed regulations that govern summary plan descriptions. Those regulations require circumstances that would result in the loss or forfeiture of benefits to be clearly identified. Those regulations disallow misinformation and misleading wording. Violation of these requirements can lead a court to interpret the summary plan description in the claimant's favor. I have experience arguing these points in administrative appeals and in court. Examples are presented in the reported decisions in Koehler v. Aetna Health, Inc. and Thomason v. Metropolitan Life Ins. Co., listed below. Under a recent Supreme Court decision, failure to satisfy these requirements can lead a court to determine that employees who suffer financial injury are entitled to equitable relief, which can take the form of a monetary award known as a surcharge. An example is presented in the reported decision in Thomason v. Metropolitan Life Ins. Co., listed below. In what parts of Texas does James L. Johnson take ERISA cases? I take ERISA cases from anywhere in Texas. If litigation becomes necessary, ERISA claims can be filed in federal court. ERISA cases are usually decided on the basis of written motions, and all the federal courts in Texas use electronic filing of such motions and other submissions. Travel to the courthouse is seldom necessary. I am admitted to practice in all four of the districts into which the Texas federal courts are organized. Some insurance coverage, such as an individual policy or automobile policy, or a group policy of an employer that is not subject to ERISA (such as governmental entities and church organizations) is not governed by ERISA and is instead subject to Texas law. The Texas Insurance Code and Texas common law provide several remedies for improper or bad faith insurance claim denials or misrepresentations made to sell insurance coverage. What effect does Texas law have on my claim? Texas law offers several advantages over ERISA. In addition to a claim for benefits under the policy, Texas law allows a "bad faith" claim against an insurer. Damages for a "bad faith" denial of benefits can result in an award of three times the amount of benefits. Penalty interest of 18% of the benefits also available. 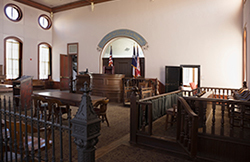 Claims under Texas law can be tried to a jury. The stakes are higher, and the outcome is often more uncertain, under Texas law. As a result, cases under Texas law tend to settle at a higher rate than ERISA cases. 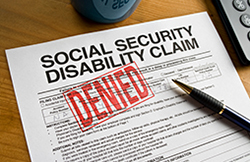 What is a "bad faith" denial of benefits? Texas law imposes liability upon an insurer under common law for what is known as a "bad faith" cause of action. Liability arises from the denial of a claim without a reasonable basis. That aspect of the common law claim has been codified into the Texas Insurance Code. The most common type of claims under the Texas Insurance Code arise from an insurer's failure to pay a claim after its liability has become reasonably clear, or from an insurer's refusal to pay a claim without conducting a reasonable investigation. Can an insurer insulate itself from "bad faith" liability by relying on an expert? The mere fact that an insurer relies upon an expert's report to deny a claim does not automatically prevent the claimant from winning a bad faith claim. Liability cannot be avoided when the evidence shows that the report was not objectively prepared or that the insurer's reliance on the report was unreasonable. In those circumstances, the insurer's reliance on the report may be a pretext to deny the claim without a reasonable basis or without determining whether its liability had become reasonably clear. I do not handle workers' compensation cases. Don't suffer in silence. Find out if there are legal remedies to compensate you for your loss. You will find a caring professional at my office and together we will help you get through this challenging time.